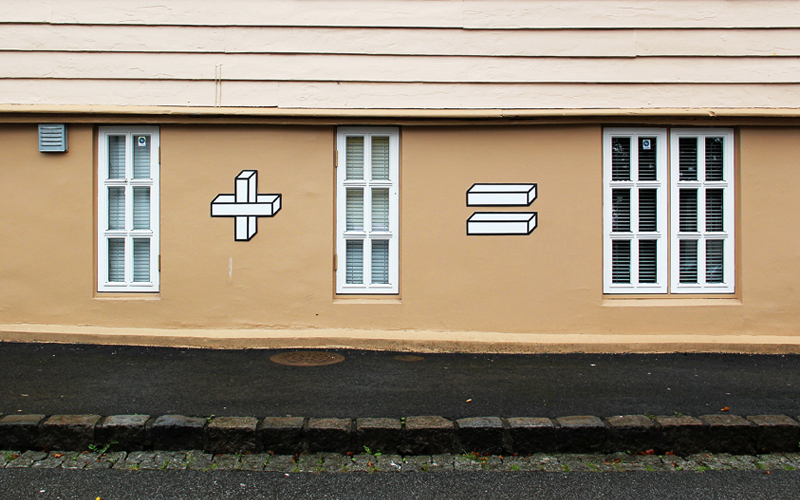 By Aakash Nihalani at Nuart Festival in Norway. From Nuart: Aakash Nihalani created this piece for this years Nuart, entitled “Sum Times” but one we like to call, “The one that got away” Thought you might be interested. I just received these great shots of a piece that Aakash Nihalani produced for this years Nuart. One of the joys of running Nuart is discovering works we had no idea were produced, it could be a reflection on how out of control things get, our general incompetence, or more likely (we hope), just how much these artists love to work for the shear joy of creating. No prizes, no media coverage, no blogs.. just a LOT of love from the community the works appear in.